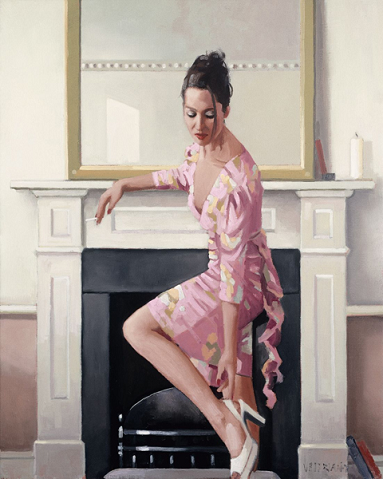 Model In Westwood is a Limited Edition Giclee Print, signed and numbered by Jack Vettriano in an edition of 250 with 25 Artist's Proofs. This print comes with a Certificate of Authenticity. 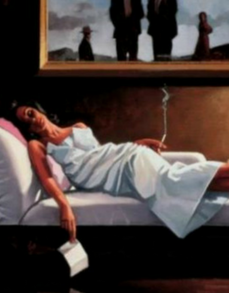 Model In Westwood is part of 5 Limited Edition Prints forming The Contemplation Series, the other 4 being Black On Blonde, Edinburgh Afternoon, Baby Bye Bye, The Very Thought of You. This print is available to purchase individually or as a complete set of 5 with matching numbers.